Maintaining your gutters is not just a case of keeping them clean and bright - it is an often overlooked priority that is crucial to the overall condition of the building structure. 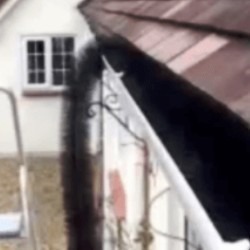 Overflowing or leaking gutters are an annoyance that, left unchecked, can lead to more serious issues such as rotten roof timbers, rising damp and unstable foundations. Fortunately there is a wide range of products available to combat these issues at source - by keeping rainwater flowing through the guttering and into the drainage system. Click here to watch a brief tutorial on how to fit GutterBrush. Most blocked gutters are caused by fallen leaves, moss, twigs and dirt washed down from the roof covering. Whilst it is impossible to prevent nature from creating these conditions, we can at least take preventive actions to minimise their disruptions. The simplest way is to fit a leaf guard into the outlet of the gutter, where it joins the downpipe. This simple, inexpensive fitting stops pipes from becoming blocked by catching the leaves and moss before they are swept into the pipe. All that is required to maintain this fitting is the removal of leaves from around the guard a couple of times a year. A more comprehensive solution is the fitting of a mesh system or one of the new generation of gutter brushes. Both of these products work in a more proactive way by actually stopping leaves and dirt from being washed into the gutters in the first place. 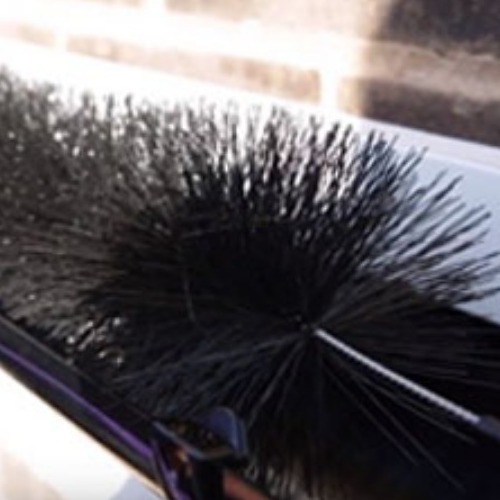 Mesh systems clip on the top of the gutters, whilst gutter brushes are long lengths of nylon bristles fixed to a central wire that actually fits inside the gutter profile, filling the void whilst still allowing water to flow through the system. Either of these solutions is a very effective way of keeping guttering free from debris. Finally, to keep gutters looking as good as new, wash them down a couple of times a year with a damp cloth and either soapy water or a proprietary PVC cleaner. Regularly maintained they will add a touch of class to your eaves!